Faye Pairman has more than 20 years of executive leadership experience in the storage industry. Prior to joining Panasas in 2010, she was senior vice president and general manager of the storage business unit at Applied Micro Circuits Corporation, which acquired 3ware, where she had previously served as president and chief executive officer. While at 3ware, Faye overhauled the company’s technology roadmap and operating plan to capitalize on market realignment and leverage advances in disk storage technology—resulting in revenue growth of more than 300 percent. Before joining 3ware, she spent eight years at Adaptec in a number of senior marketing and general management positions. She managed the company’s largest and most profitable controller business, with annual revenue totaling more than $600 million. Faye holds a Bachelor of Arts degree from University of the Pacific and an MBA from Harvard Business School. Elliot Carpenter manages all elements of the financial operations at Panasas, including investments, cash flow, profitability, and growth. In his more than 25 years in business, he has led the financial management of private and public companies, including Roxio’s spin out and initial public offering. He has driven merger and acquisition processes and the related integration; developed multiyear business models and analytics tools; and managed all elements of corporate accounting, tax, risk management, and employee benefits. Prior to joining Panasas in 2016, Elliot held various officer-level roles at NanoConversion Technologies, Gear6, Sonic Solutions, Roxio (acquired by Rovi), and Adaptec, among others. He has also provided executive-level finance and accounting consulting services. Elliot is a certified public accountant and holds dual bachelor’s degrees in business economics and Germanic languages from University of California, Santa Barbara. Jim Donovan has more than 20 years of marketing and sales experience, driving new and sustainable revenue growth with a focus on unleashing the potential of data technologies for enterprise businesses globally. At Panasas, he leads global accounts and market-share growth strategies through sales enablement, product management, brand, global communications, and demand-creation initiatives. Prior to joining Panasas in 2014, Jim served as senior vice president of global marketing at Teradata, a data and analytics solutions company, where he led corporate and vertical marketing efforts that contributed to increased customer acquisitions as well as market-share growth. Jim holds a Bachelor of Science degree in marketing from Gannon University. 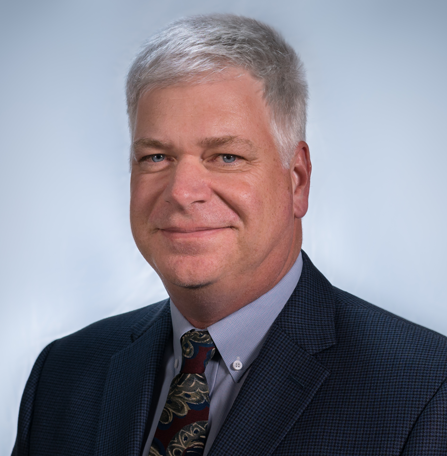 Tom Shea is responsible for overseeing the global engineering, supply chain, IT, and customer service resources that support the Panasas product and solutions portfolio. In his more than 20-year career in the storage industry, Tom has held a variety of engineering, general management, and executive leadership positions; led software and hardware teams in both public and private companies; and managed teams through periods of transition and dramatic growth, including successful public offerings. Before joining Panasas in 2014, Tom was vice president and general manager of software solutions at SanDisk. He also worked as vice president and general manager for WAN optimization at Blue Coat Systems and was president and chief executive officer at Gear6. Tom holds a Bachelor of Science degree in electrical engineering and computer science from University of California, Berkeley. Faye Pairman has more than 20 years of executive leadership experience in the storage industry. Prior to joining Panasas, she was senior vice president and general manager of the storage business unit at Applied Micro Circuits Corporation (AMCC) after it acquired 3ware, where she served as president and CEO. At 3ware, she overhauled the company’s technology roadmap and operating plan to capitalize on market realignment and leverage advances in disk storage technology—resulting in revenue growth of more than 300 percent. Prior to 3ware, Faye spent eight years at Adaptec in a number of senior marketing and general management positions. While at Adaptec, she managed the company’s largest and most profitable controller business, with annual revenue totaling more than $600 million. Rob Cihra has more than 20 years of experience as a senior Wall Street technology analyst and investor focused on the computing and storage markets. Rob was most recently a Managing Director at Guggenheim Partners, previously a Senior Managing Director at Evercore ISI, and partner at Brompton Cross Capital. Rob earned his BA, Economics and MBA from the University of Western Ontario. Andre Hakkak has served as co-portfolio manager and investment committee member of White Oak Global Advisors since 2007. He was previously the founder and chief investment officer of Alpine Global, a multistrategy investment management firm that focuses on alternative fixed income and real estate investments. He was also the founder and portfolio manager at Suisse Global Investments, an investment management firm that develops investment strategies customized to meet the risk-adjusted return requirements of bank clients in more than 30 countries. Andre previously served at Robertson Stephens as an investment banker and principal in its Investment Company Act platform. He has been a co-founder and board member of several financial platforms that facilitate the distribution of philanthropic and financial products, and has served as a limited partner, general partner, or board member of various investment funds and companies. Andre received a Bachelor of Science degree in finance and marketing from Haas School of Business at University of California, Berkeley, and has held Series 7, 63, and 24 designations from the Financial Industry Regulatory Authority since 1991. Jonathan Lister’s team works with the world’s most widely recognized brands to help them leverage their vast employee and client networks to build modern selling expertise and dramatically improve how they sell. Jonathan holds a Master’s Degree in business administration from the Rotman School of Management and a Bachelor’s degree from the University of Toronto. Jorge Titinger is the chief executive officer and founder of Titinger Consulting, and the former chief executive officer of SGI, a global leader in high-performance computing that was acquired by Hewlett Packard Enterprise. Jorge has more than 30 years of experience in the technology industry with a focus on strategic development and driving growth. Prior to his role as CEO at SGI, Jorge served as chief operating officer and then as president and CEO of Verigy, Ltd. Other appointments include several senior executive roles at KLA-Tencor Corporation, Applied Materials, and Insync Systems as well as senior management roles at MIPS and Hewlett Packard. Jorge holds a B.S. and M.S. in Electrical Engineering and an M.S. in Engineering Management and Business from Stanford University. David Wiley leads KEWA Financial, a financial services company and thought leader in the environmental insurance market. David has more than 25 years of experience in finance and executive management in the energy, mining, technology, venture capital, private equity and publicly traded asset management industries. He was previously the founder and CEO of an energy related company he took from concept to IPO and ultimately to a successful strategic sale. David is also the co-owner and Director of the EPIC Companies, LLC as well as the co-owner and Chairman of Sanare Energy Partners, LLC. In addition, he has served as an independent Director of INI Power Systems, Inc. since 2002.